We had a great two days of cooking classes at McPolin Elementary this week with the 2nd-5th graders of the After School Program. Check out the photos of kids on FaceBook chopping up great produce for our “Last Call of the Summer Harvest” Pasta Salad. Thank you to United Way, Canyons Resort, Whole Foods Market Utah, Fairweather Natural Foods, Holy Cross Ministries, Ranui Gardens (and Andrea Morgan), The UPS Store of Park City, Deer Valley Resort (Jodie Rogers), Latinos in Action and all the volunteers who cooked with us for supporting this program! 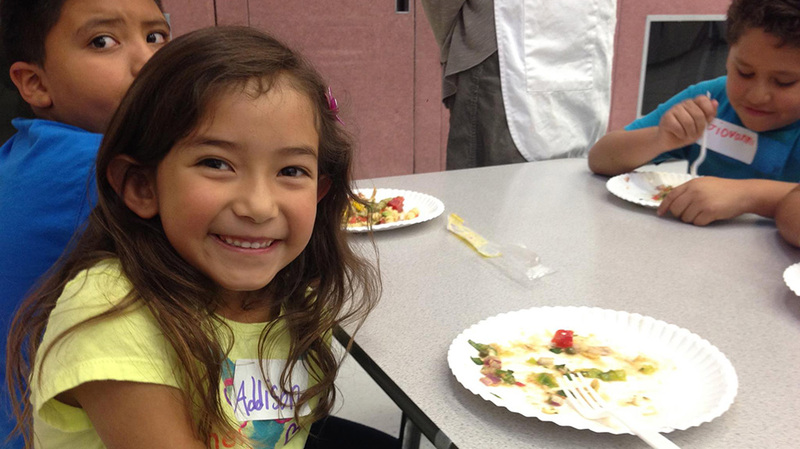 We can’t wait until next month’s class to cook with K-5th grade students!